This blog suggests best book for railway recruitment exam. Preparation for RRB vacancy needs devoted efforts. Maths, Reasoning and General Knowledge are to be prepared well for all RRB Jobs announced by RRB notification. Read one by one, as we have covered all subjects separately. Our review will help you to take a decision and you will be able to understand what to look when purchasing a book online. Group D books, books for loco pilot and other books for all technical and non-technical exams are covered here. Let's start with the subject which needs maximum time for preparation. Take basic books from your school days to make all concepts very clear from the very beginning. You will find two books with two different titles as given above. You don’t need to buy both as both of them consist of almost same content. R.S. Agarwal is a well-known among aspirants of all competitive exams and he does not need any introduction. Lets’ directly come to positive and negative points of the book. No doubt book is good to give a practice to your quantitative aptitude. I suggested above that first book you need your basic school books because R. S. Agarwal covers concept part in a hurry. If you are a beginner you would find problem to understand the chapter. However, book is full of practice questions. Tis book has different types of questions to sharp your mathematical skill. Practice done with the book will help you to make the foundation strong. I would keep it in ‘must have’ category for all starters of competitive exams who need to polish their basics. It also contains a detailed chapter on Data Interpretation to give you exposure of different types of charts. It covers all chapters of Arithmetic. On a first appearance, you may find mensuration chapter missing. But, this chapter is also given in the book. You need to check it with patience. Of course, this book is missing a few important chapters like trigonometry and geometry but they are not asked in all competitive exams. Secondly, R.S. Agarwal doesn’t make any big change in its addition. If you are taking this book for railway recruitment preparation, solve it with a pace. Finish it as early as possible. This book is one of best books for preparing maths for all competitive exams. Book has been designed intelligently to suit all categories of learners. I took this book after R.S. Agarwal because this book suggests shortcuts also. Beginners should not directly jump on shortcuts. Finish R.S Agarwal very fast and after that start doing this book for Railway recruitment exam. This book covers concepts and divides problems in two levels; easy and difficult. In such a way it satisfies need of both aspirants who are weak in maths as well as who has a good flair for maths. RRB aspirants will find a bundle of questions to practice. If you believe in running fast or having crunch of time you may directly come to this book for railway recruitment exam as it will help in fast reading with good organization of formula, shortcuts and questions. Writer of this book has made a good compilation of maths formula. 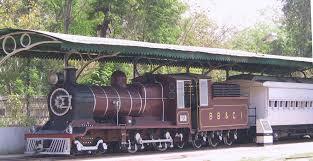 RRB aspirants will get formula collection at one place which will help them in making fast revision. Overall, worth to purchase for other competitive exams like SSC, IBPS and CDS too. Don’t go after the advice of any person or online write like me. Read reviews of users and online rating before purchasing of any book for RRB. Apart from books given above, there are few more books for RRB which fall in the popular category. Most of the G.K. books in market come with collection of objective questions only. Whereas, this book explains topic in short paragraph. Though, content length is too short but good for beginners. General Knowledge is something which you can start anywhere. It is a good book to strengthen your general knowledge ability. ‘Small Packet me Bada Dhamaka.’ If you are going for any competitive exams like RRB or SSC, this book could be read to make a base for general knowledge. The book is good to start knowing and learning static G.K. but lacks with current affairs. Honestly speaking, current affairs should be read on daily basis with the help of a newspaper. For more, Manorama Year Book should be covered. Always take latest edition of any G.K. book for RRB to get latest news and event updates. This book does not need any introduction or review. If you are planning to appear in any competitive exam, you must know about it. No book in the market can be a substitute for it. It covers various sections ranging from Medicine to Literature. This book is bulky and has lots of pages, therefore, sometimes aspirants may feel that their progress is very slow. They need to give it time. That’s why I kept it in the third position. To cover this book, divide this book in small modules and cover them on daily basis as per own plan. Select your book for railway recruitment as per your patience level. If you genuinely go with my words, start preparing reasoning with this book. This book should be read from the beginning to avoid any confusion. Though it covers only one aspect of reasoning, it will give you a strong base to attempt difficult questions in RRB or any other competitive exam. If you are looking for only one book covering the entire syllabus of reasoning for RRB, it will not suit you. This book suits aspirants who start early. As this book is conceptual and aims to explain content. Each chapter is followed by fifty plus questions for practice purpose. If you are looking for a collection of questions only, it will not fit your requirement. Books are available at a very reasonable price and worth to buy if you believe in the strong foundation. Almost all competitive exams ask questions of reasoning. This book covers almost all topics of reasoning and useful for all competitive exams including RRB. Book is structured in a systematic way. All the three sections have concept elaboration with all variety of questions. In short, book is with detailed explanations, examples and exercises, genuine price, old question papers and good for self-study. Check also books for SSC CHL as the syllabus of Railway Recruitment and other competitive exams are almost the same. Link to apply online for railway vacancy of different technical and non technical jobs will be updated soon. 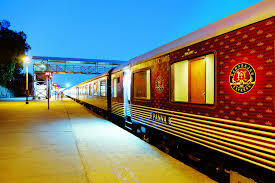 If you want to add something valuable related RRB vacancy, RRB jobs and RRB notification which could be relevant for other readers, please leave your suggestion in comment box given below. Also share the name of your best book for railway exam preparation, if missing from the list given above.